Submit an image of art in your space; tell the story it holds. 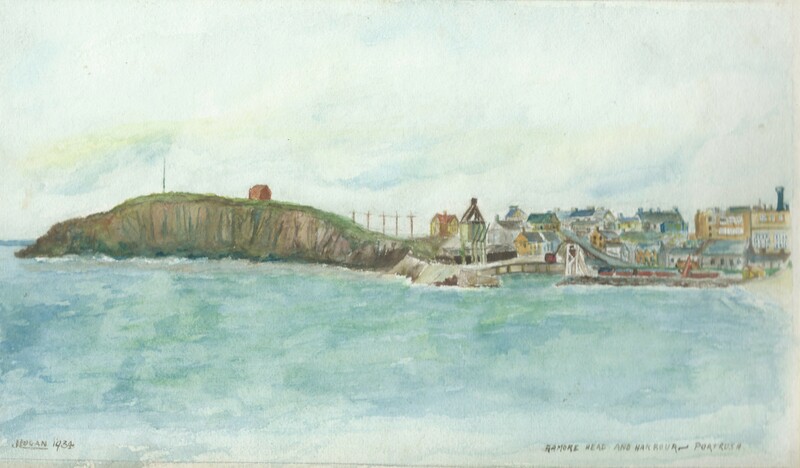 I offer you a 1934 watercolour of Portrush, County Antrim, Northern Ireland, by my father, Jack Logan. He was 19 years old at the time and he died a very untimely death in 1952. I was ten years old. This painting means so much to me. My father’s painting developed over the years in terms of range of themes where the city of Derry/Londonderry and County Donegal became as popular as Portrush. My father’s painting style became much more bold and adventurous. He captured a typical Irish sky with apparent simplicity, but with remarkable accuracy. Portrush remains a place apart, a place to which I resort when my spirits need raising. My father, Jack Logan, was, to quote a recently deceased Portrush friend, “a remarkably skilled and popular person,” and one whom I wish I had known better.